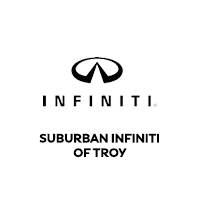 Suburban INFINITI of Troy is the best place to buy or lease a vehicle. We have the best selection of new and used vehicles. Whether you are coming from Detroit, take a short drive to Troy for a hassle-free car buying experience with us. We are confident that you will find the vehicle you are looking for, at our dealership. Check our contact us page to get to your West Bloomfield INFINITI dealer alternative faster. We are conveniently located for Farmington Hills INFINITI shoppers as well. Troy and Detroit drivers will be interested in knowing that we have a full lineup of INFINITI vehicles. This includes the amazing Q50 Sedan and the Q60 Coupe. For those who want to become the center of attention, we recommend the new Q60 convertible. We also have an impressive inventory of crossovers and SUVs like the QX50 and QX80. Plymouth INFINITI buyers can also find various used and certified pre-owned vehicles at our lot. We will also be happy to help Livonia and Metro Detroit customers with financing once they select a vehicle.